We would like to expand this page. Feel free to suggest a link to helpful material found on the web, be it your website or someone else’s. 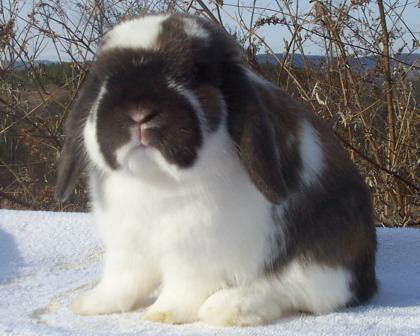 If you are a breeder, we can add you to our Rabbit Breeders Links Directory. We like to keep our link directories current. The links below all worked as of 10/2011. The Merck Veterinary Manual – 8th Edition Online – contains over 1200 photographs and 12, 000 entries. You can search online by species, disease or other keyword. Harmony Animal Hospital – “Modern care… old fashioned concern.” Information on animal health care and also how to cope with sadness when losing a pet. Drug Dosage Calculator For Rabbits – dosages for common drugs and anti-parasitic agents for rabbits. Humane Rabbit Euthanasia – not a pleasant subject, but not one that rabbit breeders should avoid. Please read this article now, before you need it. Double Dutch Rabbitry Articles – Very good information on various topics by Judge Sarah Cleavenger. Icebox Rabbitry Articles – Unique articles on rabbit type and color genetics. The Language of Lagomorphs: What Your Rabbit is Saying and How to Speak Back – learn how to interpret your rabbit’s behavior and body language. Manure Matters – Learn about using manure as a soil amendment. The article includes all types of mature from hippo to rabbits. Incredible Rabbit Resources – A page with helpful tips and links to quality rabbit websites.